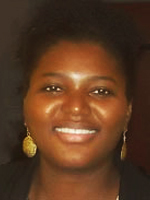 Dr. Clédicianne Dorvil is a multilingual psychologist with a subspecialty in School and Neuro-psychology. She has a wealth of experience in the field of education and mental health including working as a school psychologist, behavior modification specialist, crisis counselor, and consultant psychologist. She also has a strong background in conducting cognitive and neuropsychological assessments of children and adolescents. Furthermore, she has experience designing and implementing programs to meet the psychiatric and educational needs of children. Dr. Dorvil immigrated to America with her family when she was twelve years old. She completed her Bachelor’s degree in French and Psychology at Rutgers University, in New Brunswick, New Jersey, in 2004. Then, she moved to France and worked at Lycée Beau-Site, in Nice (2004-2005). Subsequently, she returned to America and completed her Master’s degree in Psychology at Fairley Dickenson University (2008). That same year, she started her doctoral degree in Psychology at Philadelphia College of Osteopathic Medicine (PCOM) and graduated in 2011. For her dissertation, “Stereotype Threat and Minority Students’ Academic Achievement,” Dr. Dorvil created a manual program to remediate the negative effects of stereotype threat in the educational setting. She completed her pre-doctoral clinical internship at Trenton Psychiatric Hospital (TPH) and Ewing Residential Treatment Center (ERTC). She received additional postdoctoral training experiences by providing comprehensive therapeutic services to children, adolescents, and adults displaying various psychopathologies (e.g., Autism, Learning Disorder, Anxiety, ADHD, Depression, Trauma, Conduct Disorder, and other childhood and developmental disorders). Dr. Dorvil is a co-owner of Genesis Psychological Assessments Counseling and Educational Services located in Trenton New Jersey. Through her agency, she provides comprehensive psychological services to children and adults. She also works as a school psychologist for a school district in NJ. Moreover, she sits on the board of various organizations including HALEC and Haitian Community Wellness Center. Dr Dovil’s research interests include Neuropsychological Disorders, Stereotype Threat, Identity Formation in Ethnic Minorities, Trauma, Attachment Formation, System Change, and Risk and Resiliency. She is affiliated with the following professional organizations: Pennsylvania Psychological Association, National Education Association, National Association of School Psychologists, American Psychological Association, and Delaware Valley Association of Black Psychologists.